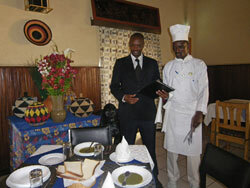 Our continental kitchen is well known in town. 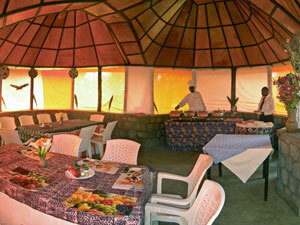 When touring or passing by the Northern Province, never miss an occasion to experience food service and breakfast specialties in the hotel lying on the outskirts of the town alongside the road to Kivu Lake shores. 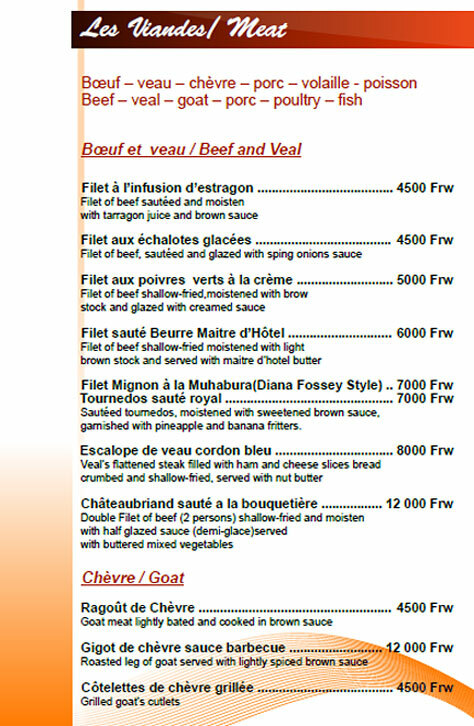 Bearing no resemblance to the local environment, our hotel daily welcomes guests to a ready for service menu; otherwise, a list of ‘A LA CARTE’ menu is available. Our grills can be compared to nothing in the region. 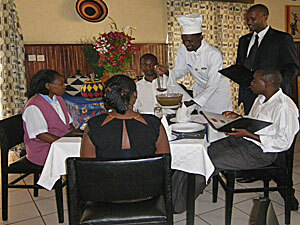 You can also order typical African dishes like zingalo, brochettes or velouté de champignons. Once sitting in the dining hall, you can place orders without worrying about timetables and schedules. Food service is always performed by professional staff with various cooking styles and delivered in a quick and accurate manner. 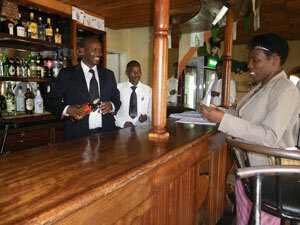 Many people stop on their way between Kigali and Rubavu (Gisenyi) to have a rest, a drink and enjoy a meal. 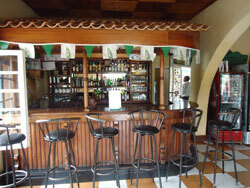 Our bar makes the town difference since it offers a variety of nice sitting places (barstools and tables). The attached balcony is ranked favorite for tourists as it holds a panoramic view open to the volcanic chain. Still, the counter remains an outstanding fitness in the internal bar room for those who will enjoy a meal or drink while watching satellite TV channels or check your e-mails.